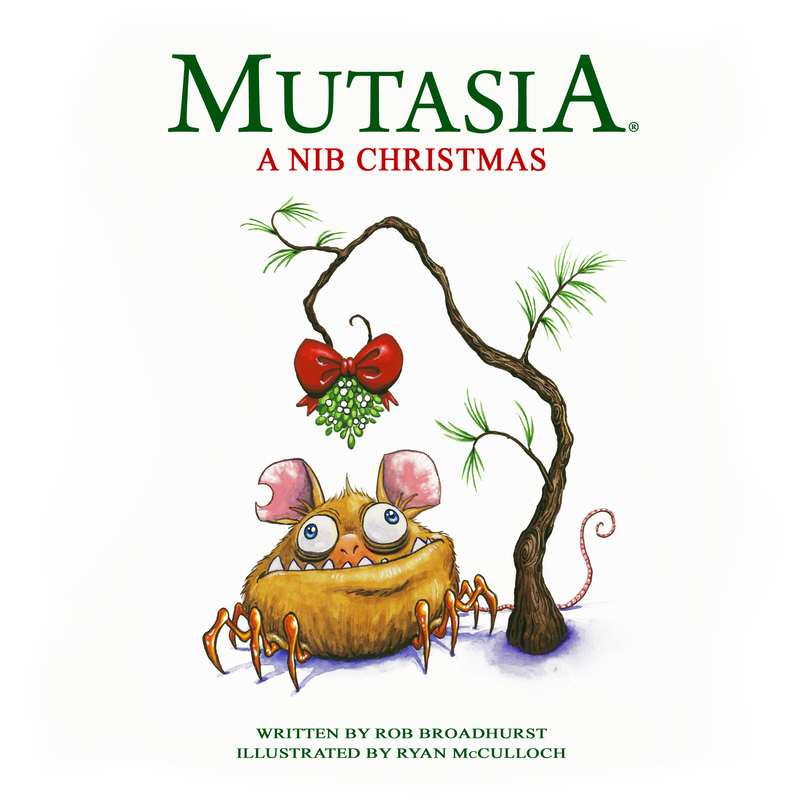 Mutasian Entertainment LLC (www.mutasia.com) has released its latest children’s fun educational e-book ‘A Nib Christmas’, written by Rob Broadhurst and illustrated by Ryan McCulloch, as a FREE download so as to encourage children, and their families, to read during the Holiday season. The ‘A Nib Christmas’ give-away, which is available for a limited period of time, is part of Mutasia’s release of their two online bundles designed for the Holiday season. The bundles are available to purchase on the Mutasia website from 4pm (ET) November 26th and will end at midnight on December 31st at 11:59pm (ET). Mutasia is a place that inspires creativity, discovery and learning in children and their parents. Many of the inhabitants of the mysterious island, which is across the vast blue sea, have some of the most illogical and utterly impossible creatures you will ever meet. As children begin to explore the island, the lively characters will spark their own imagination and enable the reader to embark on a journey filled with fun and exciting new adventures. Both bundles come with a free download of ‘A Nib Christmas’, giving booklovers three books at a very economical price. The two special seasonal options available for young readers from Mutasia include; ‘Figley’s New Favorite Food’, written by Suzanne Cotsakos and Chelsea Menzies and ‘The Land of Illogical and Utterly Impossible Critters’, written by Rob Broadhurst, Suzanne Cotsakos, William McCulloch and Susan Menzies. These two bright picture books have the new option to be purchased with ‘The Mish Mash Bash’ 23 minute DVD and an adorable Figley plush toy for the special bundled price of only $24.99 (plus P&P). In addition to books, music CD’s and soft plush toys, the team at Mutasian Entertainment have developed educational packs for teachers, book marks, stickers, a DVD and even a free Mutasia APP. As a collective, the Mutasian Entertainment family is committed to continuously create a fun-filled environment that encourages children to read and appreciate the world around them. The talented and dedicated team of educators, illustrators, authors, musicians, designers, and entrepreneurs have joined together to share Mutasia, the land of illogical and utterly impossible critters.